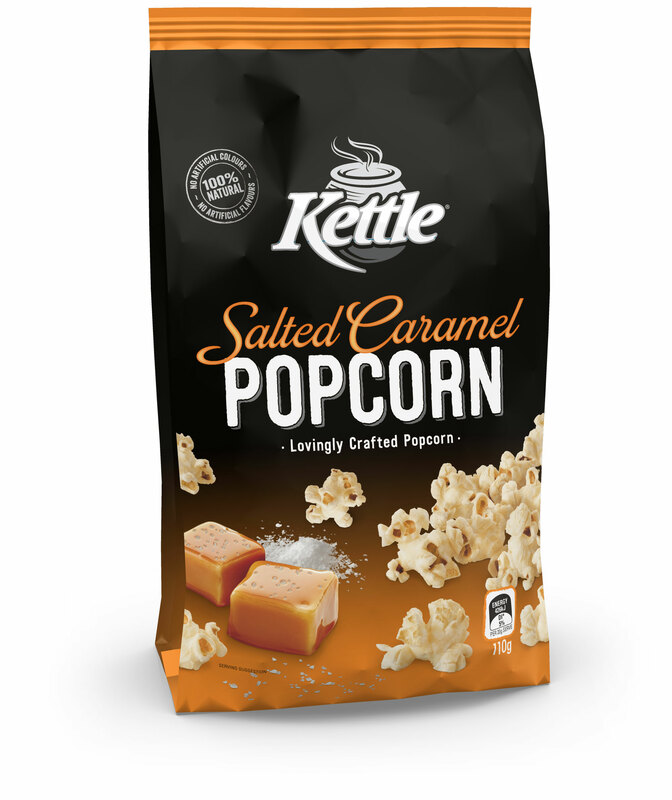 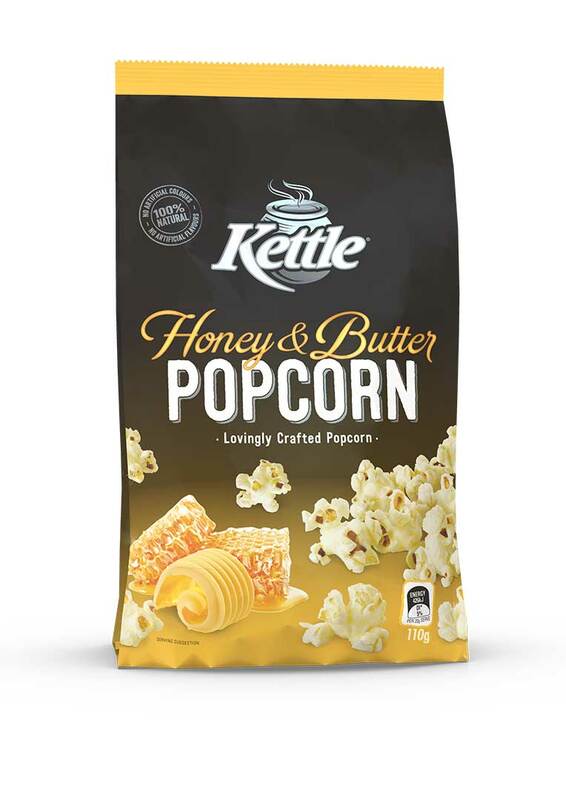 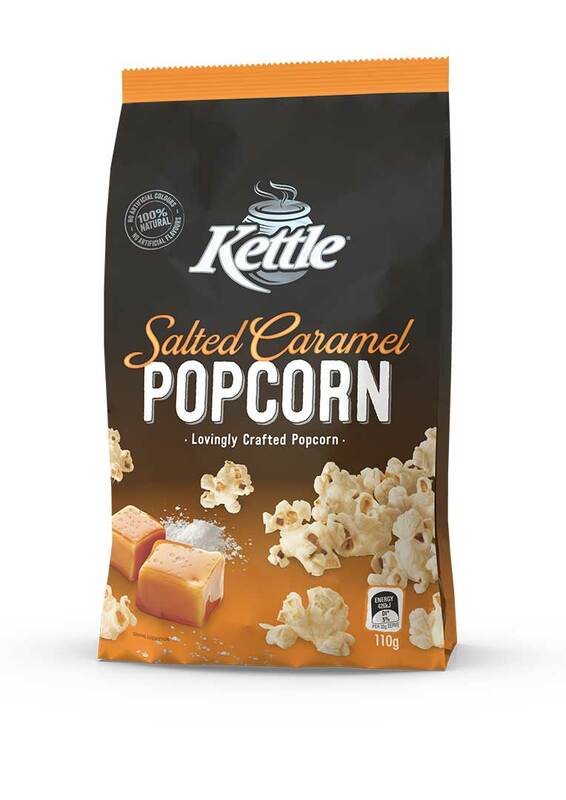 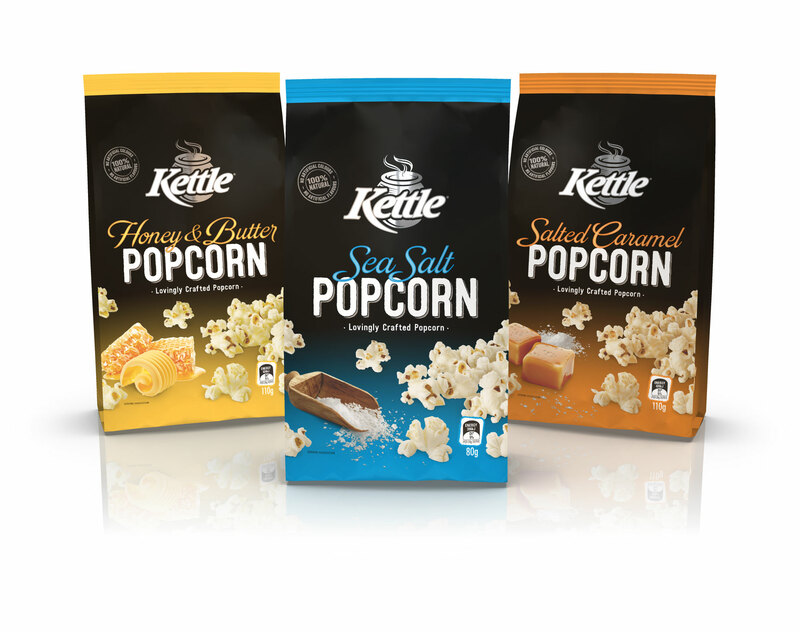 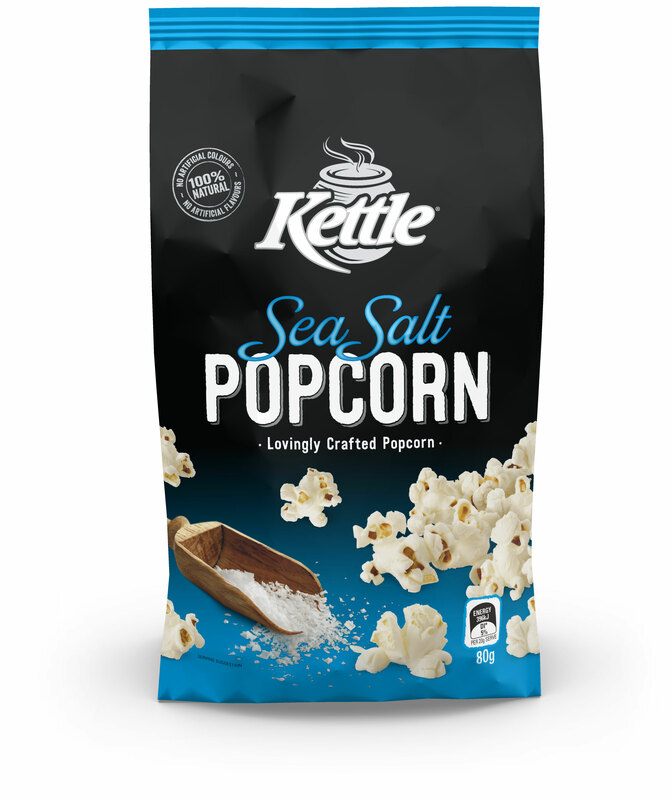 Tweak’s packaging solution to launch the new Kettle Popcorn range leverages Kettle’s handcrafted and premium quality brand promise. 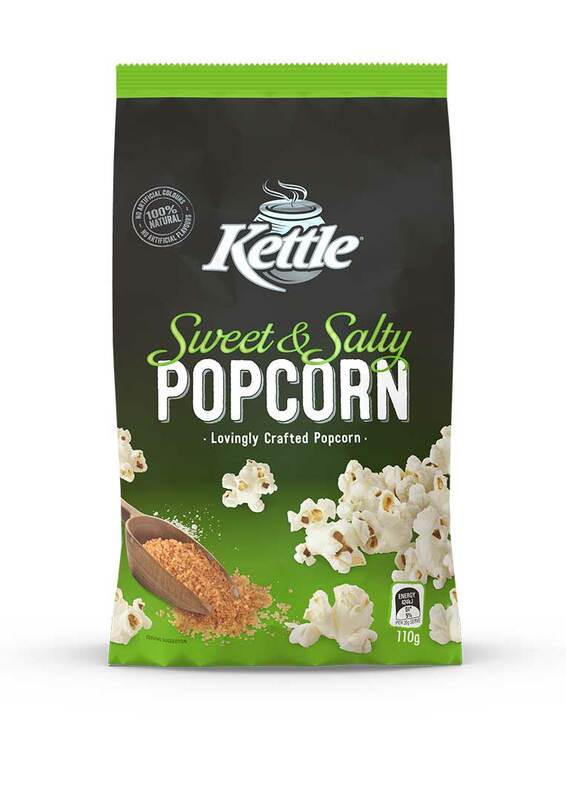 With bold ingredient imagery, playful typography and hand drawn elements, the design has instant shelf standout and appetite appeal for consumers looking for a great tasting snack. 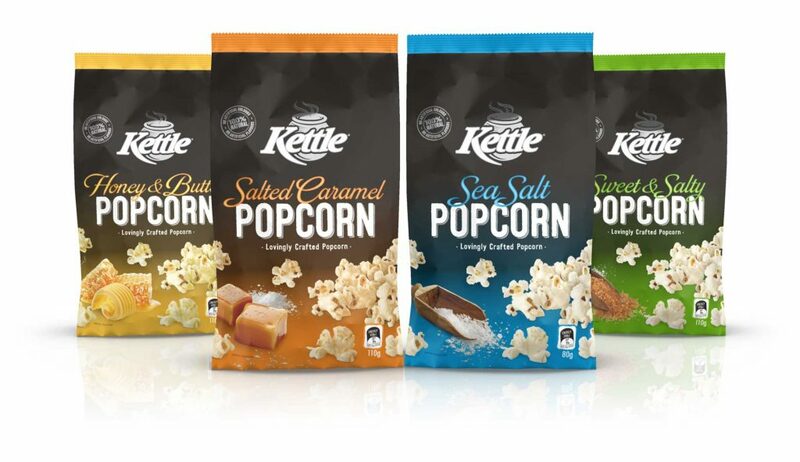 Kettle is featured in the PKN eNews. 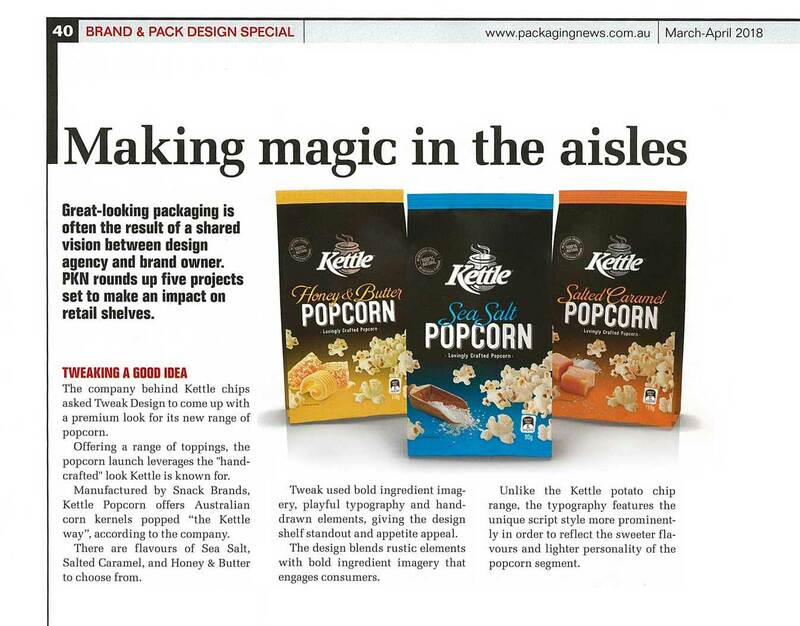 Source: Retail World pg. 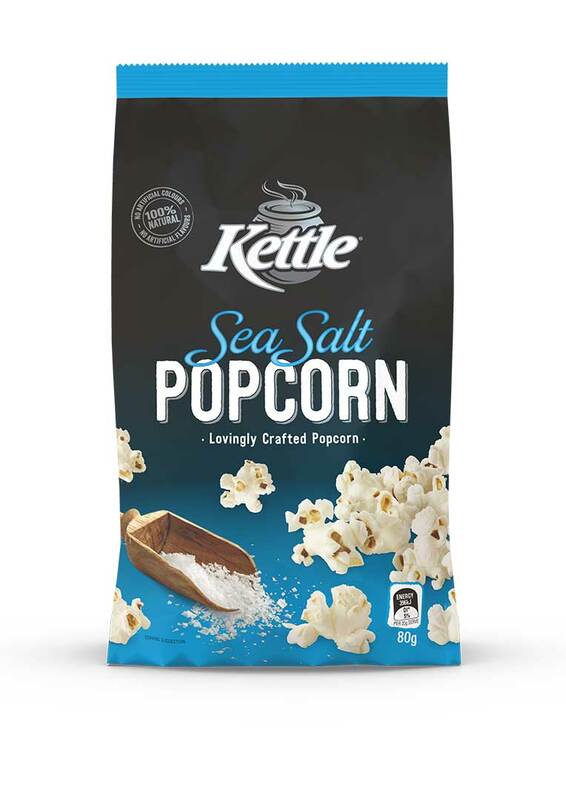 38 March 2018 excerpt.